There are plenty of opportunities out there – but where are they hiding? No one particularly likes writing for exposure. But when you’re trying to break into a niche, build your portfolio, establish an online presence and get the kind of experience you need to earn paid writing jobs, it’s necessary. It doesn’t have to last forever – and really, in the beginning, it’s not so bad. As you probably already know, there are a lot of people out there who will have no problem letting you write for them for free. Here are a few places online where you can find free writing opportunities to help get your writing career, slowly, off the ground. Ed2010 is a networking and mentoring network built for aspiring writers and editors. Its job listings include everything from full-time writing and editing positions to freelance work to, yes, unpaid writing and editing internships. Jobs are either on location or remote, so if you can’t pack up and relocate, there still could be something there for you. I found one of my long-term clients through Ed – I’d recommend it to anyone having trouble finding opportunities to write stuff online. It’s a great place to find niche opportunities, e.g., if you want to write about fashion, parenting, health, etc. 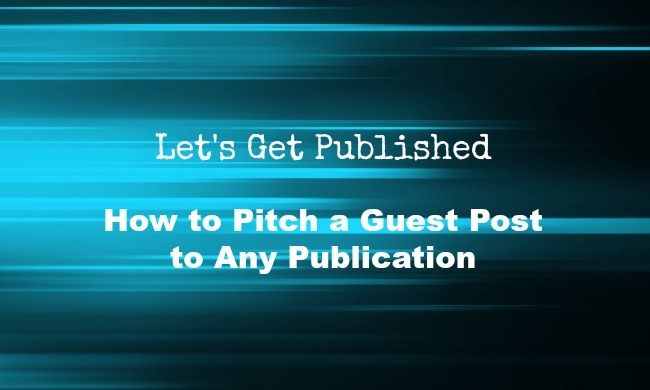 Many blogs either offer or are primarily supported by guest posts – posts from random writers who want to add their voice to a particular blog they like and/or resonate with. Having a blog of your own first does help give you some leverage here – more than one person has approached me through Novelty to guest post for them. I’m not a LinkedIn expert by any means, but the day I changed my featured headline to Freelance Writer/Editor, I started getting message and connection requests from people in the appropriate field. Including several “recruiters” working in PR whose job it is to literally link you to writing opportunities – most of them “for exposure,” but if this is what you need, it’s a pretty sweet start. I haven’t found much success with finding more creative jobs on LinkedIn, but in terms of networking, it’s definitely the place to be. I can’t speak to finding paid freelance work through here, because I’ve honestly never looked, but I’ve heard it’s pretty rotten. It doesn’t hurt to connect with people, join groups, do some professional publishing and see where it takes you. I launched my professional writing career at the age of 20, when I started an unpaid internship hosted by an online magazine. Many online magazines that also offer writing internships are designed for students – because, believe it or not, some people do understand that no one should ever work as an unpaid intern once they graduate from college. It’s a great way to get your name out there, get experience working with editors and practicing how never to miss a deadline. Even if you’re not a student, though, many web-based magazines don’t pay their freelancers but still welcome wannabe writers – so go ahead; pitch some stories. Even smaller publications can help you give some much-needed sustenance to your writing portfolio. It’s better to have published articles in a variety of places – it makes your experience more diverse, and shows that you’re good at reaching out to people who don’t know you exist. When you’re looking for exposure opportunities, my best advice is to pick blogs, websites and publications that you’re actually interested in working with. Don’t just grab at anything that comes your way – I’ve ended up writing a lot of generic productivity articles that way, all for free. Your niche is your center. It often helps to show that you’re focused in your writing – a little variety is okay, but it starts to make you look a little desperate if you’ll write about anything just to have your name on it. Where is the best place you’ve found opportunities to write for exposure? Did these opportunities help you get any paid experience later on? It’s time to talk about writing goals … again. There are two types of writers: those who set goals and end up achieving them, and those who struggle with figuring out what they really want and how to get there. Similarly, there are two types of writing goals: those that are easy to set and measure and those that aren’t. This post will teach you the difference between the two, how they feed into each other and how to set and accomplish each type. Since you are most likely more familiar and comfortable with completion goals, we will cover those first. In terms of writing, completion goals are the goals you set, as the name suggests, to help you complete specific projects. These kinds of writing goals are easier to set because the endpoint and the steps to get to that endpoint are simple to outline. For example, if you want to publish a novel, you already know you’re going to have to spend a certain amount of hours and effort writing a draft. 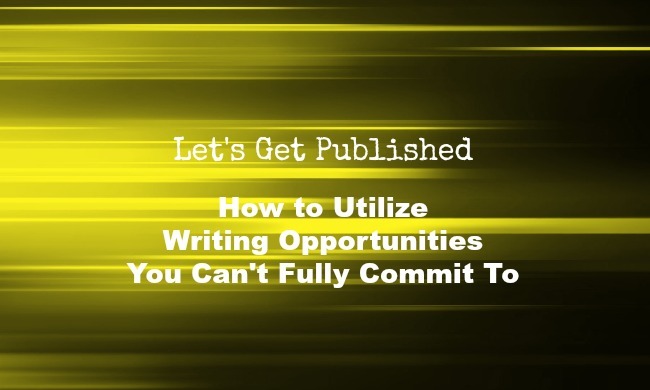 Then you will have to edit and revise, and then go through the process of either self-publishing or drafting and sending out query letters to agents. Where you begin and end are both very clear. People understand that when you say, “I want to publish a novel,” that’s exactly what where you eventually want to end up. How do you set them? You already know that setting SMART writing goals is one of many subsequent keys to success as an aspiring writer. We’ll run with the “I want to publish a novel.” Great start, but if you leave it at that, you’re much less likely to actually follow through with it. You are much better off setting a completion goal like this: “I want to finish writing the first draft of my novel by the end of 2016.” This is a much smaller and more achievable goal that can eventually feed into your larger long-term goal of getting published. Probably the most important piece here is that you give yourself a deadline. This will be important when setting the second type of writing goal as well, but when you’re busy and overwhelmed and you want to write something, deadlines really do matter. Examples of completion goals that don’t work: I want to write a book someday; I want my favorite author to read my book when it gets published; I want to be a professional writer. What’s missing from these goals and how would you improve them? Unlike completion goals, writing improvement goals are more difficult to set and extremely challenging to accomplish. The reason there’s so much material out there trying to teach you how to set goals is because, in general, we’re not good at setting goals. Especially when there isn’t an endpoint, at least not in the same way there is to mark the finish line of a completion goal. Let’s say your goal is to “improve character development in your stories.” The catch with improvement goals is that they are often tied to smaller fragments of completion goals. You don’t just want to level up your character development skills … you want to level up those skills for a very specific reason. As you are identifying and setting improvement goals, always keep your completion goals in mind. This is why there are two different kinds of writing goals of equal importance. Staying vague and failing to set deadlines is not going to get you where you want to be. There’s really nothing wrong with a goal to “improve character development,” at least as a starting point. But there’s a pretty specific set of steps you are going to have to take here in order to set improvement goals you can actually achieve. Identify your “I am here” point. Analyze where you are in terms of character development at this moment, for example, by reading through recent character sketches or analyzing character arcs in your most recent work. This will serve as your starting point and your synthetic method for measuring progress throughout. Identify your destination. This will probably involve doing some deeper research into what the experts consider to be optimal examples of character development. Get an idea of what level you eventually want to arrive at. This will serve as your endpoint, even though, technically, there really isn’t one. And always remember to tie your improvement goals back into your completion goal(s). You want to write a story with a well-developed character so you can improve character development in your stories so you can write a good draft of a book so you can publish a novel before you’re 25. See how that works? Don’t give up until you have the results you want, or the results you can more realistically achieve. Examples of improvement goals that don’t work: I want to be a better writer; I want to blog more; I want to be more successful; I want to spend more time writing. What’s missing from these goals and how would you improve them? If you’re someone who has a hard time setting and sticking to your writing goals, start here. Accomplishing goals is all about making sure you’re setting out to do what you really want to do. If you don’t want to write a full-length novel, don’t waste your creative energy trying to write a full-length novel. Every writer’s goals are different. Even if no one else respects your goals, treat them well. Take them seriously and get back to writing. What’s your current completion goal? Your current improvement goal? Try combining them into one (long but ambitious) sentence as shown above. Here’s how to convince magazines to publish your work (it’s not as hard as you think!). Have you always dreamed of having your work published in a magazine? As part of our LET’S GET PUBLISHED series, I take a little wisdom from past posts and give you a step-by-step guide to getting an article featured in a magazine. Hint: You have to be the one to reach out. And you have to be very strategic about it. It’s not as hard as you think. It just takes a lot of time and practice to find the right formula. Always write about what you’re interested in. Never write on a topic you’re not interested in just because it’s popular. That being said, carefully angle the topic you’re writing about so it is appealing and sharable. Do your homework. 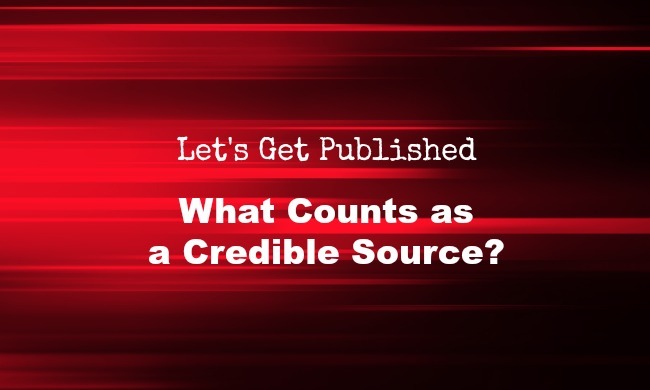 Another unique feature of magazine writing is that it involves credible research and interviews to back up the author’s points. I wish you luck on your pitching endeavors! Be confident! Your ideas matter! Which means, no matter how much you love to write, no matter how good you might be at writing, it is not very easy to launch a career. Especially when you’ve exhausted all other options, and are trying to do it all on your own. I started this blog in March 2015 to give writers just like you advice on how to ‘make it’ in this competitive industry. Here is a compilation of things I have done my best to teach you since then, just in case you need a pre-New Year’s Resolution refresher. Many writers don’t like this advice. “I’m a writer, why do I have to interact with anyone on social media? It takes away from my writing time.” Refusal to adapt to new technologies is going to get you one thing: your own cloak of invisibility, no strings attached. Promoting your work, and your brand as a writer, is absolutely essential if you ever want to get paid to write. There are many, many, many writers just like you out there. You have to use social media to differentiate yourself from them, or you WILL get lost in the stream. Pitching articles anywhere and everywhere just for the sake of plastering your name all over the internet is not attractive. Starting a pitch with, “I’m really interested in writing more so I’m looking for more opportunities to write for publications” is not attractive. Quality over quantity is an absolute must. You could be writing 10 articles per week, but if they’re not good articles, you’re not going to impress anyone. Write fewer articles about things you are actually interested in writing about, and that passion will shine right through every word you publish. Writing query and cover letters and writing proposals of any kind requires doing something most of us aren’t good at: talking ourselves up. WAY up. You have to tell an agent, editor, publisher, whoever you’re writing to why they should pick you over someone else. The tricky part is, it’s still not about you. It’s about what you have to give, and how you are able to showcase that. “I am passionate about health and wellness education, so I contribute weekly to these related publications in order to help their audiences learn this thing.” Also, mention the fact that you plan on doing the same thing for the publication you are pitching to, if your pitch is accepted. The way to be successful in any kind of industry is to stand out, which would be great advice all by itself if everyone wasn’t trying to apply it simultaneously to their own lives. There are way too many ingredients that go into this process. You have to figure out what you enjoy writing about, who is interested in articles about that, where they are, what they’re looking for, how you can prove to them you’re the perfect candidate in only one writing sample … it seems impossible. But everyone has their own unique angle on writing in the same niche. You have to adopt and embrace that, and hard. What will make you successful is what makes you different than everyone else. Even when everyone else is trying to be different, no one is exactly like you. There is nothing wrong with traditional publishing, but if that just isn’t working for you, you have a choice to make. Are you going to close the book on your dream career, or plow forward even though you have absolutely no one backing you up? Don’t shy away from self-publishing an ebook or short story collection. 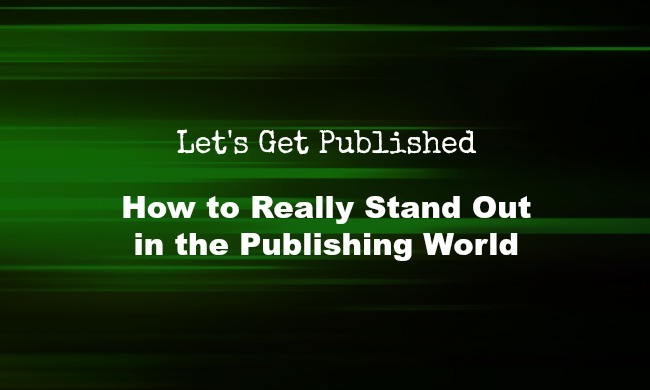 Don’t downplay your success just because you don’t have a ‘real’ publisher. In this industry, if you’re not stubborn enough to make it happen when everyone keeps telling you no, you’re just not going to make it. That’s the reality and it’s completely your own decision to make. Writing is hard. Getting published is hard. I am figuring it out, one day at a time, and so will you. You CAN do this. Set a goal and get to work. It will take a long time. You will not always be able to write your best work. You will fail once, twice, 20 times. But one way or another, you will be successful, as long as you refuse to give up. Check out our LET’S GET PUBLISHED! series for more pitching and publishing tips.